Rolling terrain and immaculate beauty blossoms this time of year around Augusta National Golf Club, making fans feel as if they are walking through Bobby Jones’ version of the Garden of Eden. The course is rich with crystal-clear ponds, manicured fairways and massive trees flanked by pristine gardens and snow-white bunkers. 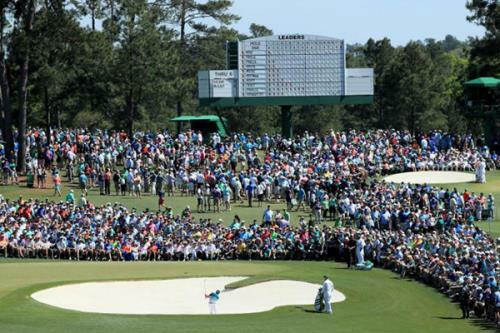 It’s a magical time for golf enthusiasts around the world, as millions wait to see who will wear the next green jacket—the historic symbol of a Masters Tournament champion. Mr. Banks was a TVA geologist and engineer who developed a mining process, called froth flotation, which helped TVA create hundreds of jobs and a better way of life for those living in the region. His patent unlocked feldspar and mica from large deposits of North Carolina quartz, found in the town of Spruce Pine. For more than 60 years, the significance of Mr. Banks’ patent was unknown. The discovery followed Vince Beiser’s August 2018 Wired magazine article that linked a group of TVA engineers to the remote Appalachian mountains where pure quartz sand is still being mined.